Africa loves José Mourinho. He has played a role in developing African football giants like Didier Drogba from the Côte d’Ivoire and Michael Essien from Ghana. These are footballers who dominated the European scene in their prime and are still international football legends to this very day. He won the UEFA Champions League with former South African striker Benni McCarthy. His latest African acquisition is Eric Bailly, a powerful Ivory Coast defender. Every football fan knows that finishing in the top four and qualifying for the UEFA Champions League (UCL) is the Holy Grail for English football clubs. This is no different for Manchester United: Louis van Gaal was fired after winning the FA Cup (a prestigious domestic title) but failed to qualify United for the Champions League. Top clubs generally don’t rate the UEFA Europa League (UEL) which is like the younger and less attractive brother of the UCL. Upon returning to Chelsea in 2013 Jose Mourinho said ‘I don’t want to win the Europa League. It would be a big disappointment for me.’ Four years later the ugly duckling proves to be the golden swan Mourinho has been looking for. In recent weeks before the final, Mourinho changed his tune and insists that winning Europa would be more important than finishing top four. They beat Ajax Amsterdam 2-0 on Wednesday. Manchester United claimed the UEL for the first time with the club. This has granted United an automatic spot in next season’s Champions League. He has had to swallow his pride. This comes from a man who won the competition in his earlier years when it was known as the UEFA Cup. But greater success in winning two UCL titles with two different clubs changed the Portuguese manager’s opinion of the tournament. That is, until recently. Is this a classic case of ‘beggars can’t be choosers’ or just another mind game from the aloof master tactician? Despite Mourinho’s past criticisms and contradictions, he still won the trophy with a congested fixture list. This is something that fellow English club Liverpool failed to do in the previous season. This is a true testament of how seriously he took the competition, if only after realising that United were not going to finish in the top four. Is this a classic case of ‘beggars can’t be choosers’ or just another mind game from the aloof master tactician? It’s probably a bit of both. In 2013, when he undermined the value of the competition, Mourinho had just come from a relatively successful stint as manager of top European club Real Madrid. He was arguably still in his prime so he could afford to say anything he wanted. In 2016, he joined a Manchester United side that missed out on the Champions League but qualified for Europa and this was after he had been sacked by Chelsea for having a miserable season. His views about the UEL suddenly began to change. This is exactly what separates good managers from average managers. I don’t believe it’s because he miraculously developed respect for the competition after three years. It was only a mind game from Mourinho. First, he wanted to protect his reputation and, second, to motivate his players. He found himself in situations where he probably had to bite his tongue during Europa League press conferences. In the end, his mind games won him the UEL trophy and a ticket back into the Champions League after a generally mediocre season. This is exactly what separates good managers from average managers. Good managers are adaptable, while average managers are inflexible and hardly compromise. 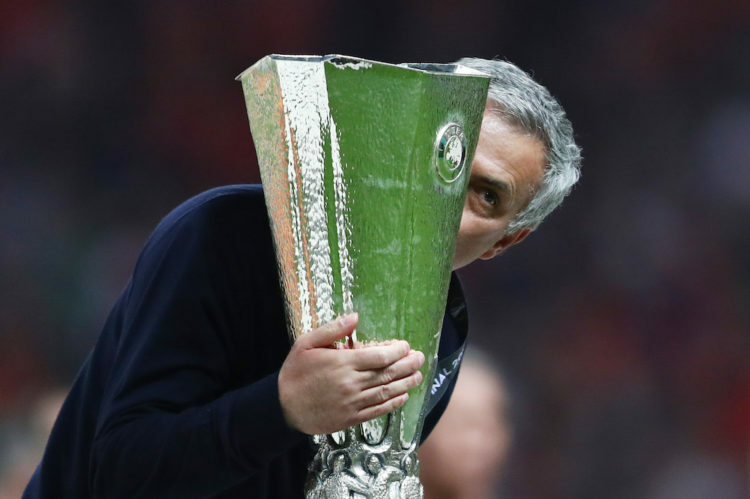 As stubborn as Mourinho usually is, he knew that he had to bite tongue and cheek in order to restore his nearly tainted reputation when the cup that he didn’t want to win became the cup that would define his first season at Manchester United.